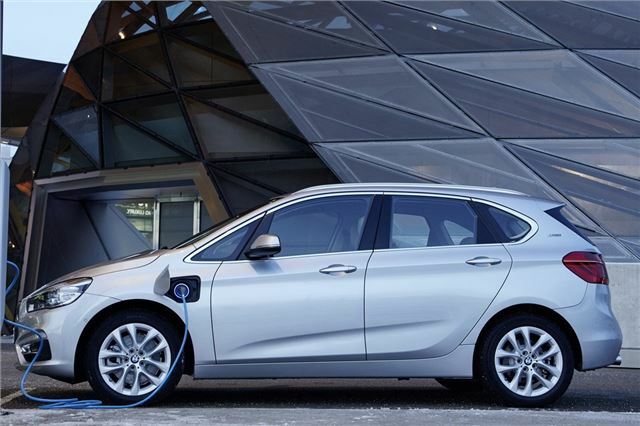 The plug-in hybrid version of the 2 Series Active Tourer - that's the posh moniker BMW bestowed on its people carrier - is now part of the BMW iPerformance range. Sounds sporty but it's basically the name for all its plug-in hybrids. The 225xe has a 1.5-litre petrol engine which, along with the electric motor, provides 224PS in total. The 'x' bit in the name means it's four-wheel drive. Plus it gets blue bits on the grille.